The Boeing B-17 Flying Fortress, or shortened to "Fort" by many, was the primary heavy bomber that destroyed factories, airfields and other strategic targets. The Boeing B-17 Flying Fortress was the first mass-produced, four-engine heavy bomber. 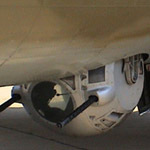 It was most widely used for daylight strategic bombings of German industrial targets during World War II as part of the United States Eighth Air Force. 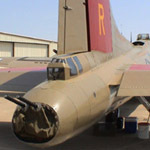 The name "Flying Fortress" was coined by Richard Williams, a reporter for the Seattle Times who gave this name to the Model 299 when it was rolled off the line, showing off its machine gun installations. 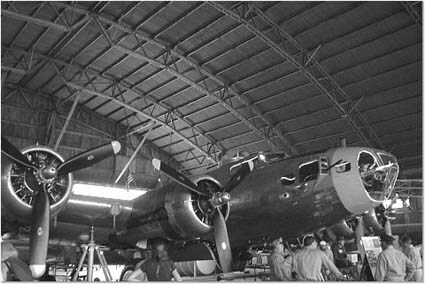 The first B-17 went into service in 1938. 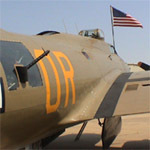 By December 7 1941, few B-17s were in use by the Army. Following the attack on Pearl Harbor, production was quickly accelerated. The aircraft served in every World War II combat zone. Production ended in May 1945 after 12,700 aircraft had been built.